From Shakespeare and Jane Austen to Gabriel García Márquez and Toni Morrison, this DK book features more than 100 biographies of the world's greatest writers. Introduced with a stunning portrait of each featured novelist, playwright, or poet, biographical entries trace the friendships, loves, and rivalries that inspired each individual and influenced their work, revealing insights into the larger-than-life characters, plots, and evocative settings that they created. Each entry explains how the person's writing developed during their lifetime, and sets it in context, conveying a powerful sense of the place and the period of history in which they lived. Lavishly illustrated with photographs and paintings of writers' homes, studies, and personal artifacts--along with pages from original manuscripts, first editions, and their correspondence--this book introduces the key ideas, themes, and literary techniques of each writer, revealing the imaginations and personalities behind some of the world's greatest novels, short stories, poems, and plays. 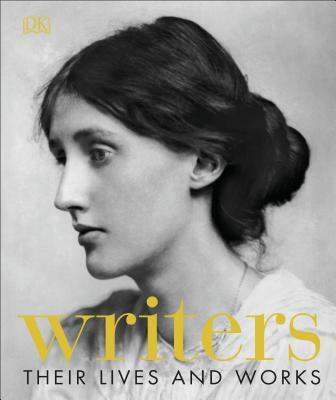 Covering an eclectic range of authors from the Middle Ages to the present day, Writers provides a compelling glimpse of the lives and loves of each great writer.